What’s that R2? Timmy’s stuck in the well? 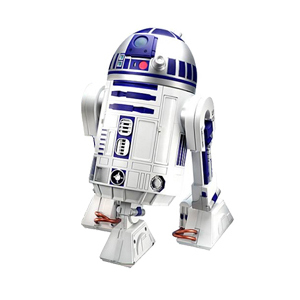 That’s right, now you can own your very own little R2-D2 Interactive Astromech Droid! We got to open one of these little bots up to roam around the office, and he is awesome! R2 responds to various voice commands, can patrol around autonomously using sonar sensors, and even has a built in drink holder. This is one of the most advanced toys we’ve seen yet, and will surely make a great holiday gift.